Make your own snow domes from Artsy Ants! 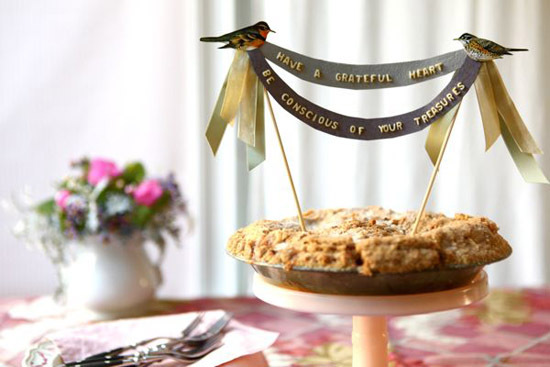 Thanksgiving Alphabet Pie Topper by Chiara Alberetti Milott for Oh Happy Day! oooh...I'm loving that pie topper! Wow! I'm super excited to see my sister's snow dome here! Thanks so much for featuring it. She had made me one with a little fawn in it, so cute. 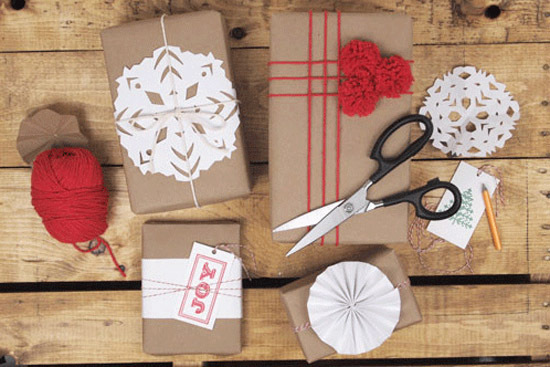 The gift wrap ideas are great, will definitely keep these in mind! hehe, the Thanksgiving pie looks nice! and I'll surely try to wrap the Christmas presents just as it is shown on the first picture. love the snow dome, so pretty. 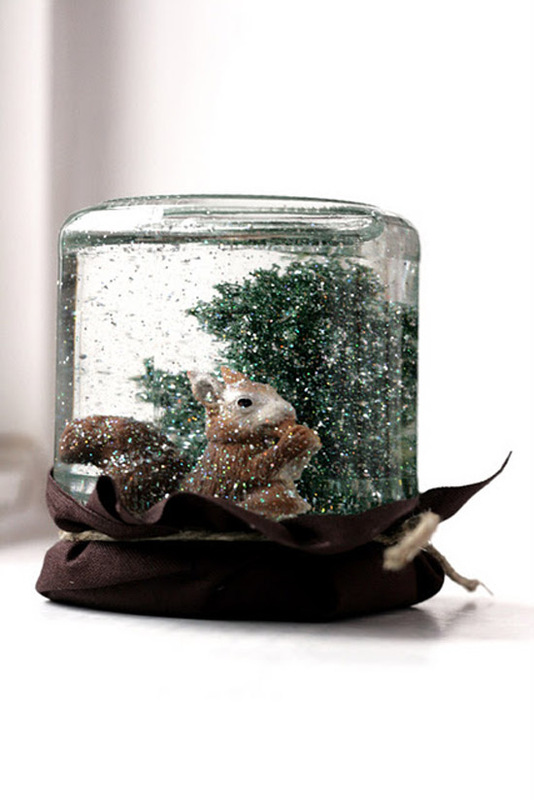 That snow globe is great. I'd love to try it.